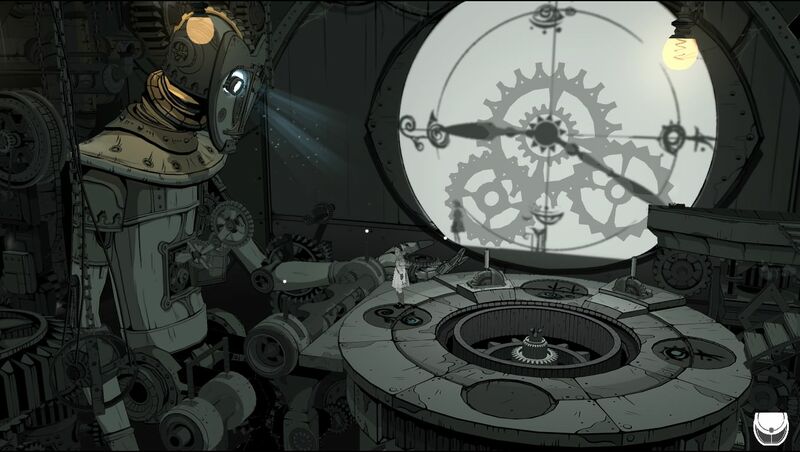 Iris.Fall is a puzzle adventure game created by Next Studio, the game sports an impressive and intriguing art style. It’s built in such a way as to generate constant intrigue, you’ll soon find yourself manipulating light around you to solve its various puzzles in no time. The Main Draw to Iris.Fall is the monochrome art style, drawing inspiration from the likes of Tim Burton, Alice in wonderland and old black and white cartoons, you’ve probably saw in the 90’s. This design complements the games puzzles seamlessly, often you will find yourself using various shadows of objects in order to unlock doors, reach high places and traverse this dream like landscape. The unfortunate side effect of this eye catching experience though, is that while the environment itself is insanely interesting, sometimes the puzzles aren’t commonly requiring simple solutions. But with such a laser scope dedicated to this concept, it’s hard to ignore the fact that Iris.Fall capitalizes on its strengths when it comes to making these puzzles, they are never uninteresting. To attempt such as bold concept and then also make it enjoyable to experience, even if it isn’t necessarily challenging, it will defiantly keep both fans and non-puzzle fans interested throughout this adventure. The games Story starts simple enough, your woken from a dream to see a mysterious black cat at your door, choosing to chase after it you soon discover, that you can travel between this world and the world of light and shadows, from then on the environment slowly reveals our character’s life story, as well as her unknown parts of her subconscious along the way. The soundtrack in this game though very minimal, mainly sticking to rather realistic sounds for pipes falling over to wood beams collapsing, but occasionally it has distinct melody’s such as the jukebox used for the puppet show early in the game. When this was present I found myself humming along to the melody while I solved the puzzle wishing I’d heard it more often. Iris.Fall is one of the very few games I can recommend as a truly unique experience, in this world of repackaged concepts and re-releases. It’s eerie yet charming, simple yet deep. Whether you’re a fan of puzzles or not you should check this out, you will not be disappointed. Iris.Fall is available on Steam for $19.99 Australian or your regional equivalent here. A special thanks goes out to Next Studio who provided us with a copy for this review. + Eye catching art style. + Sound however minimal, is on point. – Puzzles can be a little hit or miss.